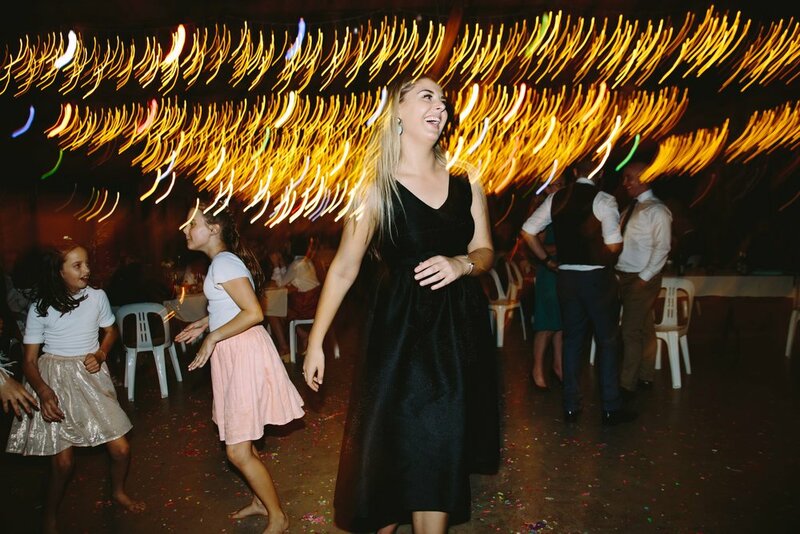 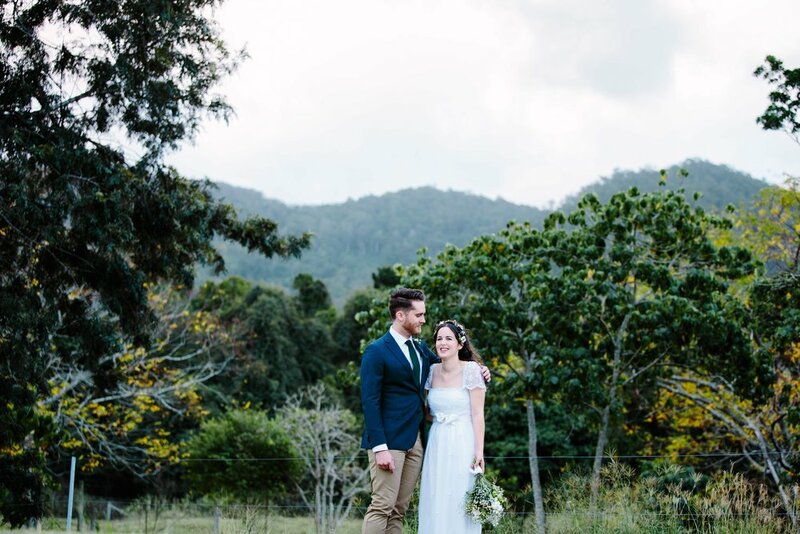 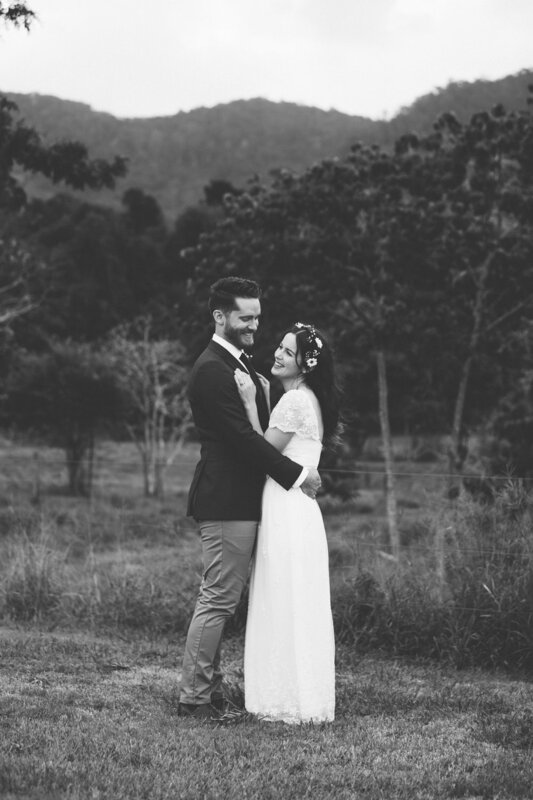 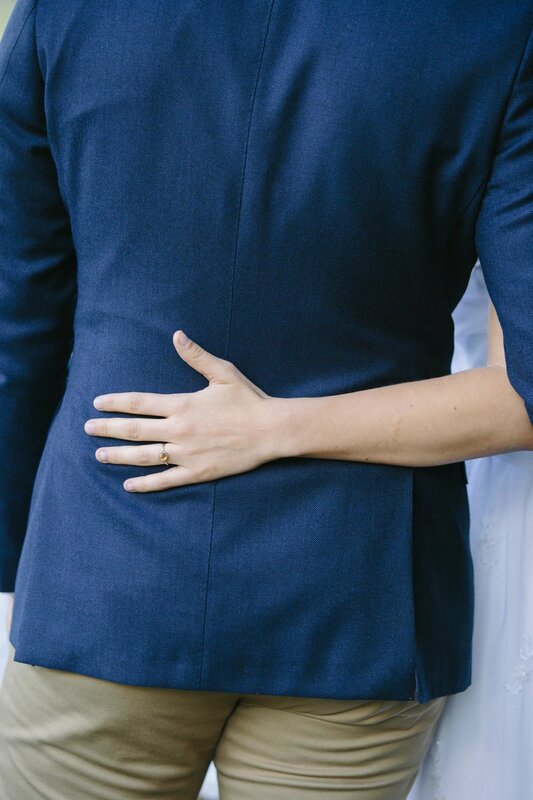 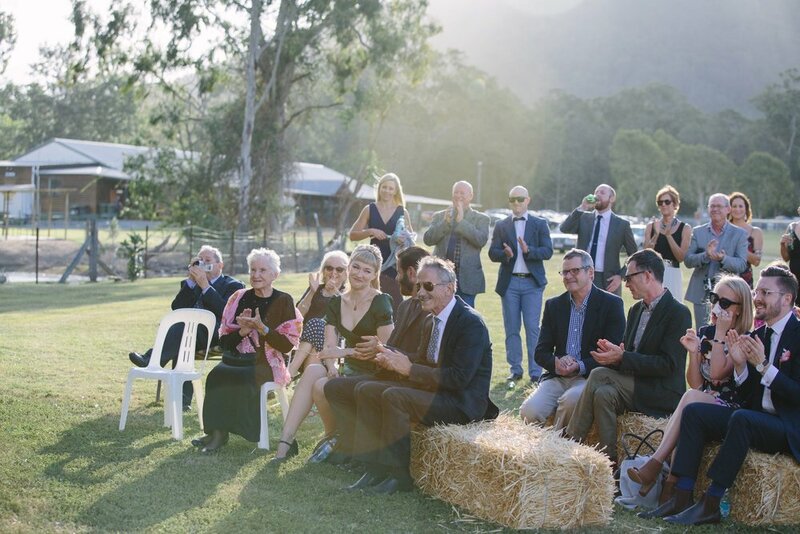 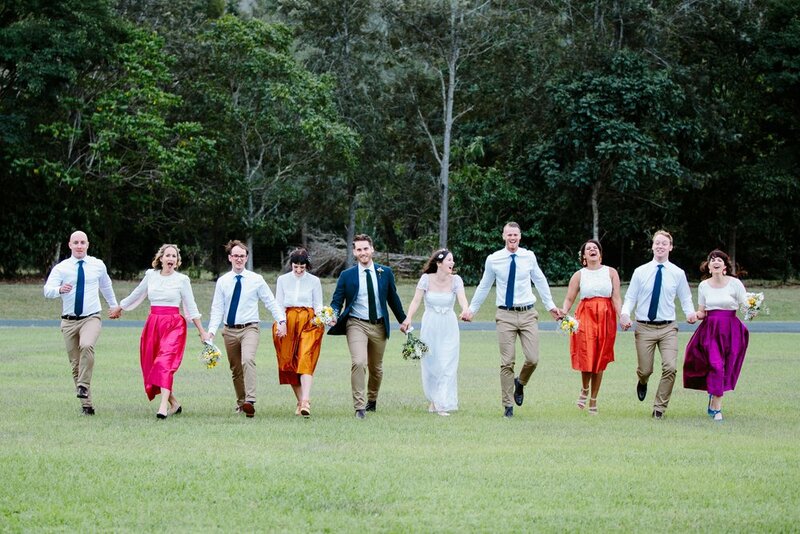 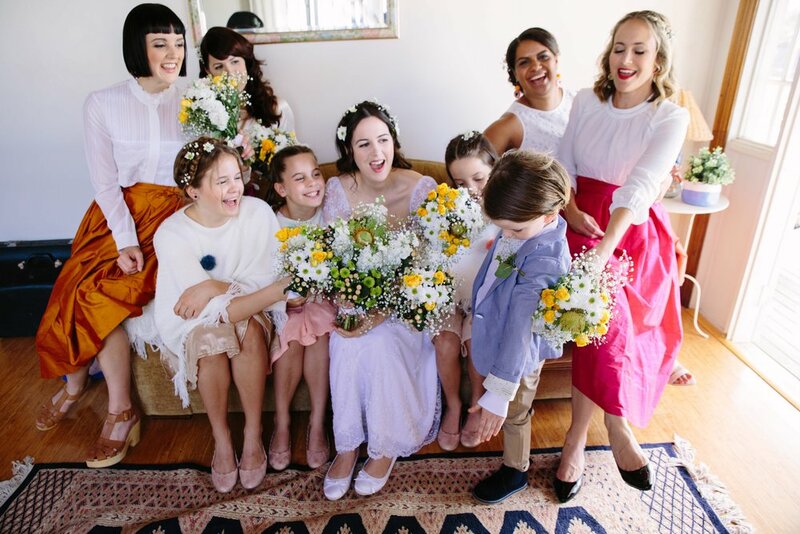 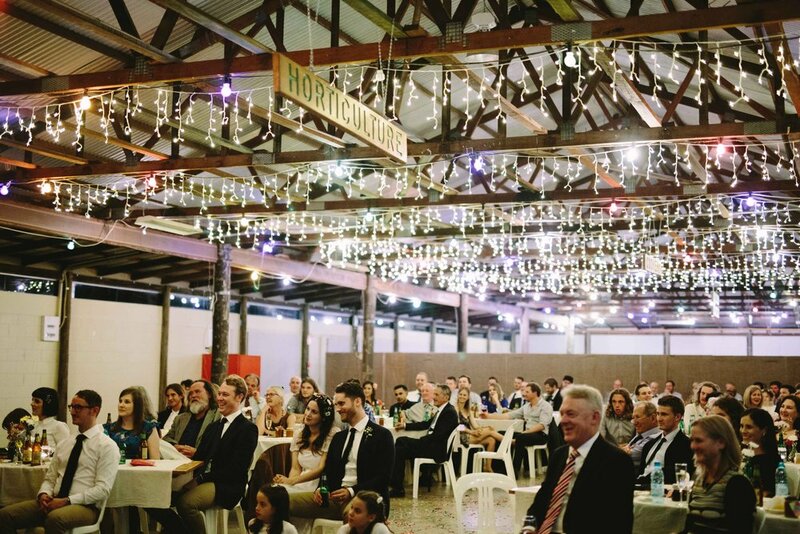 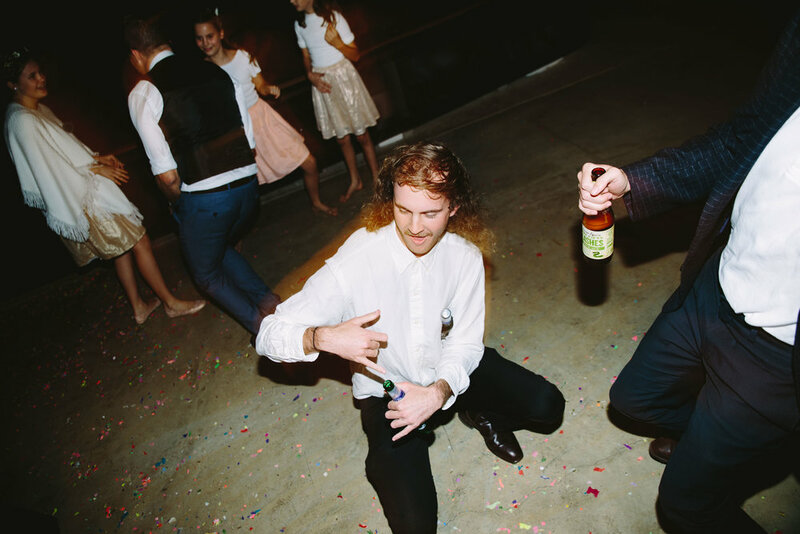 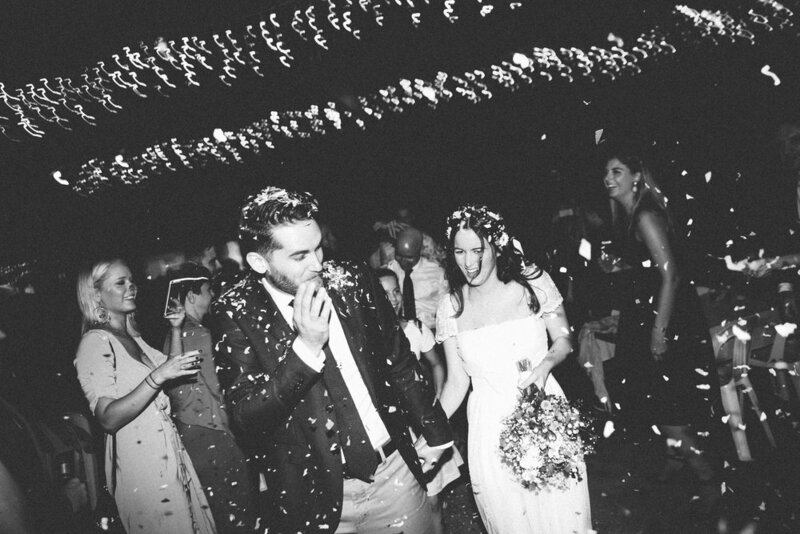 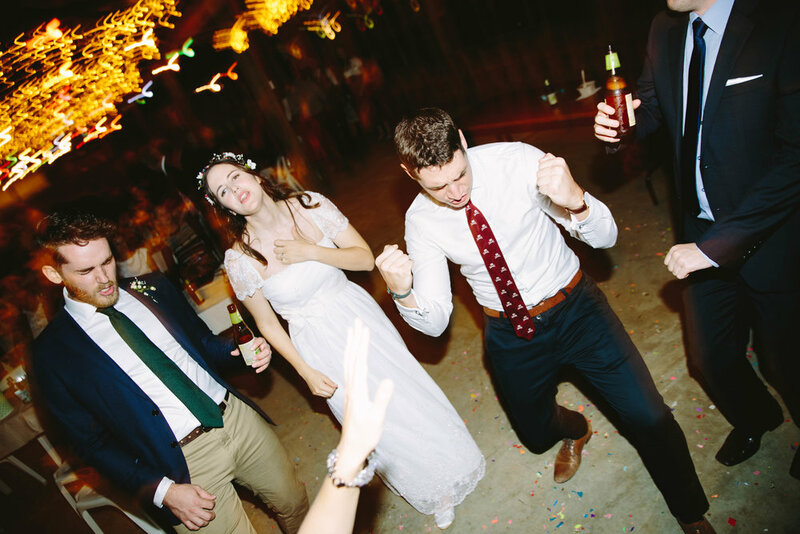 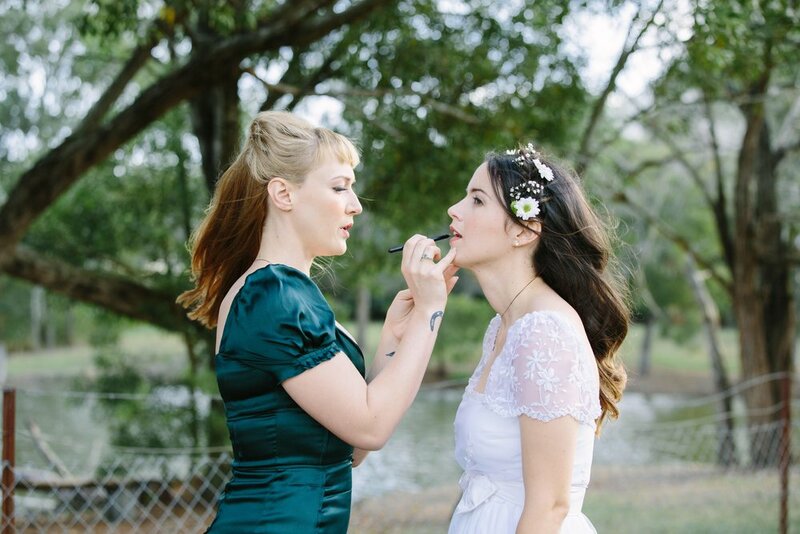 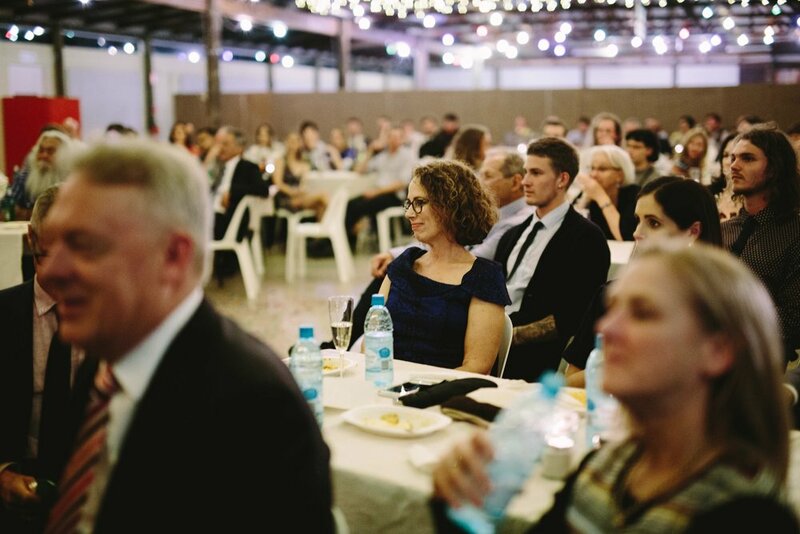 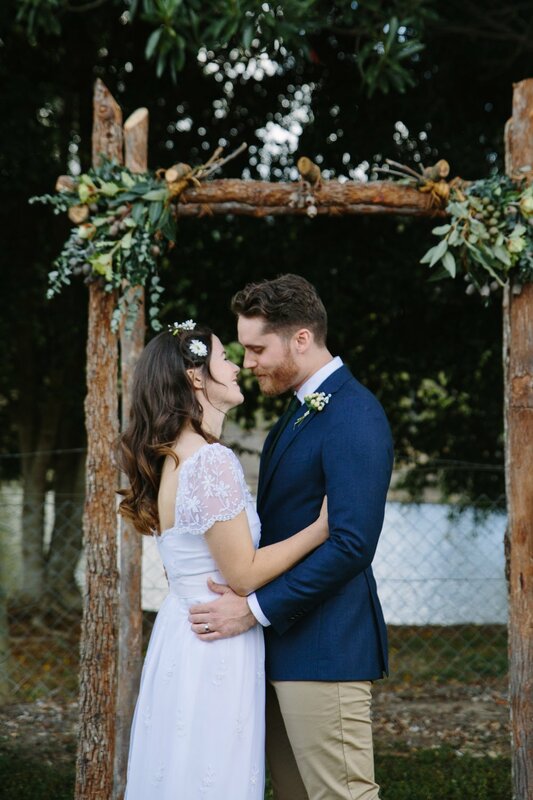 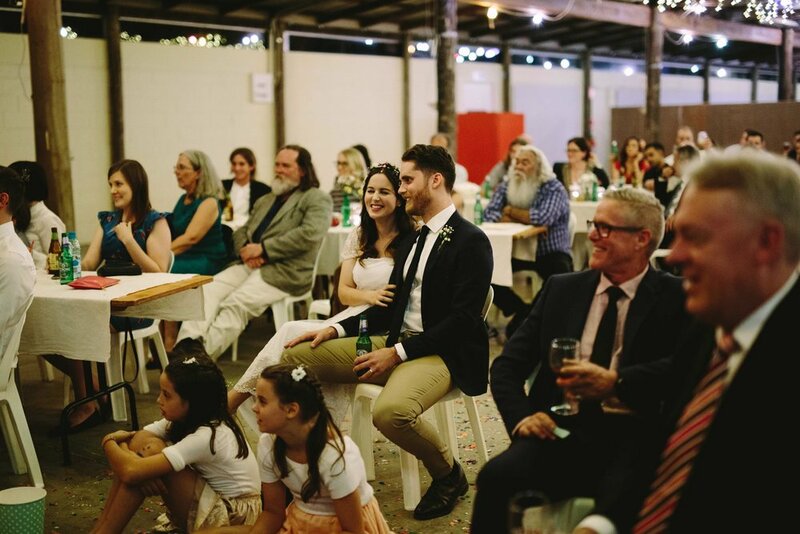 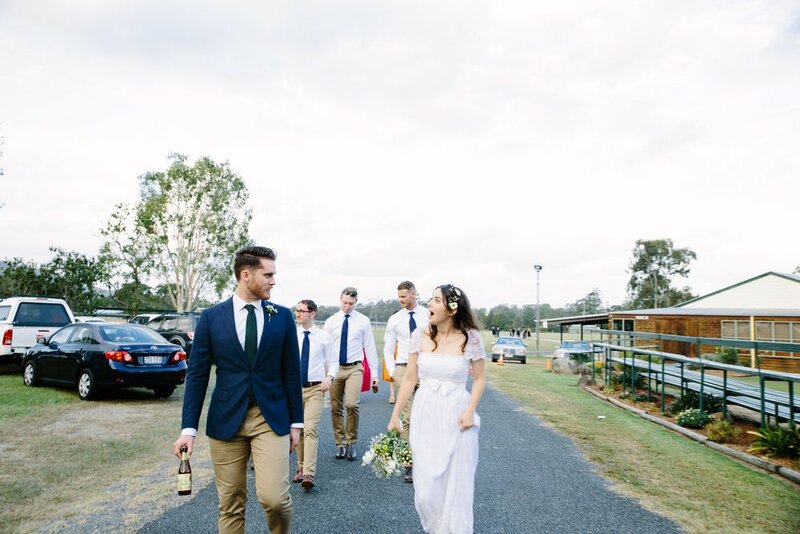 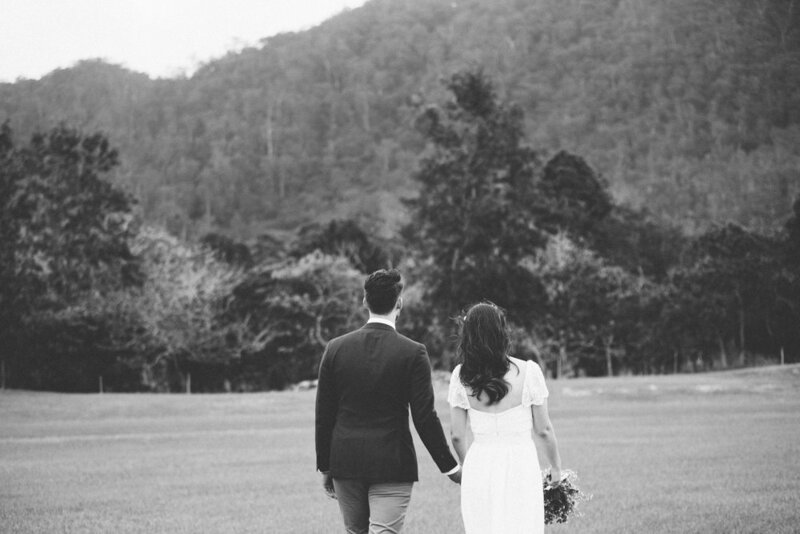 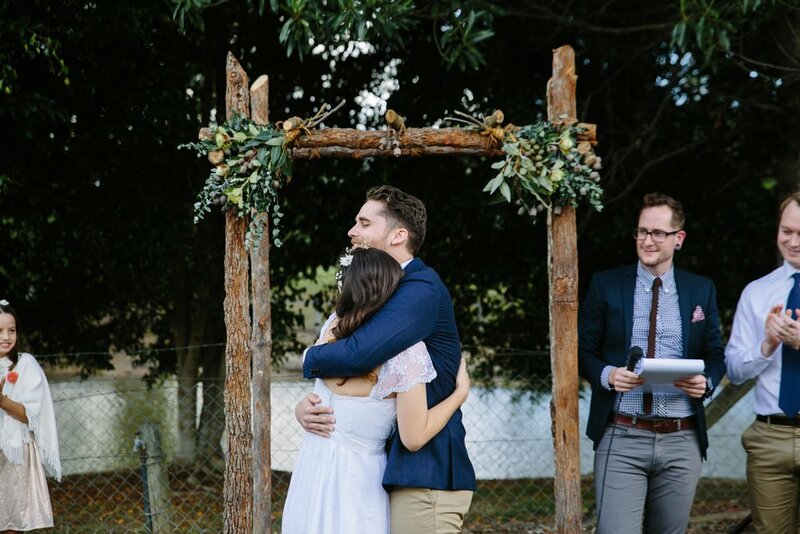 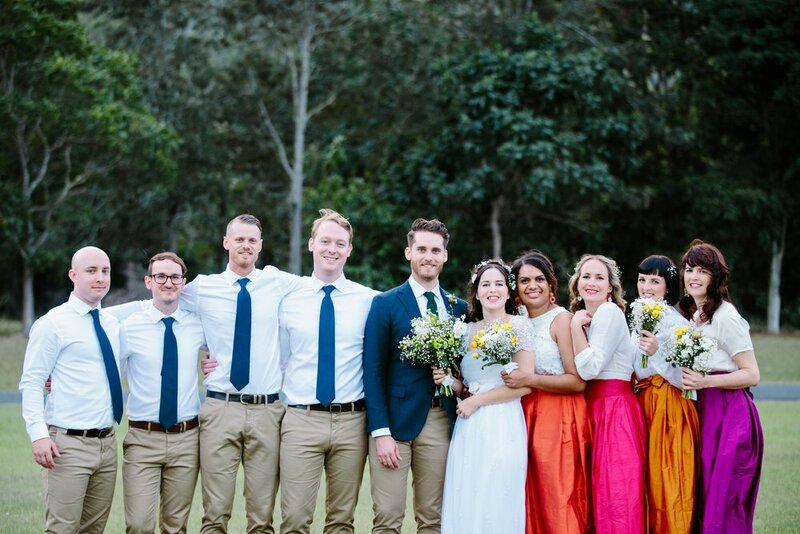 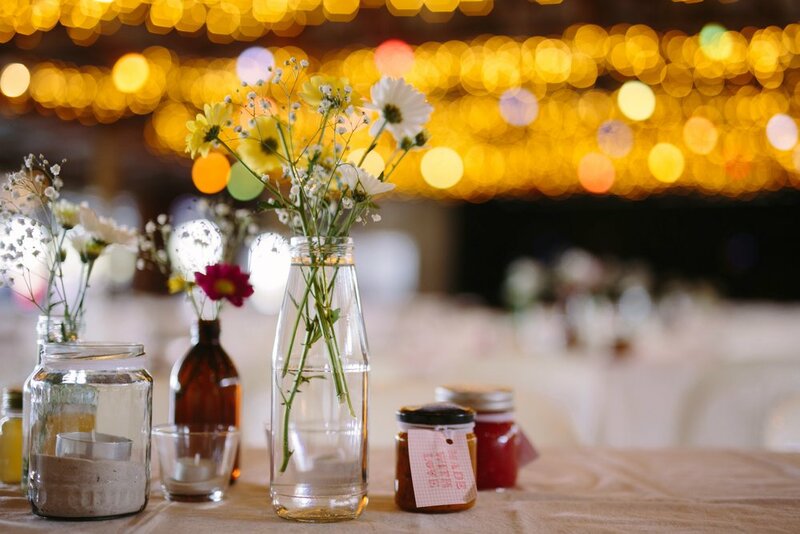 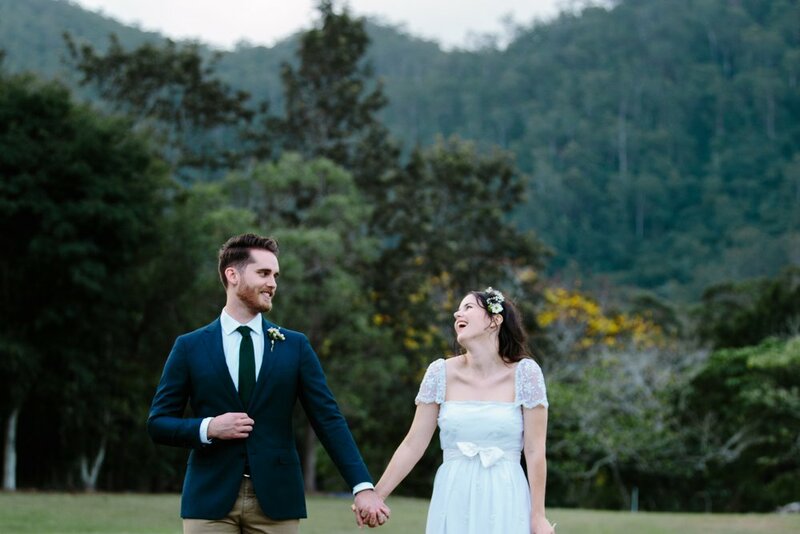 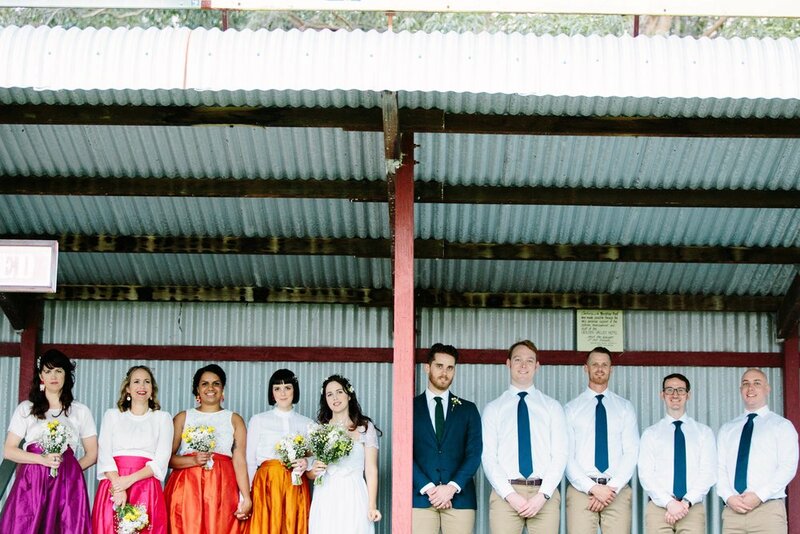 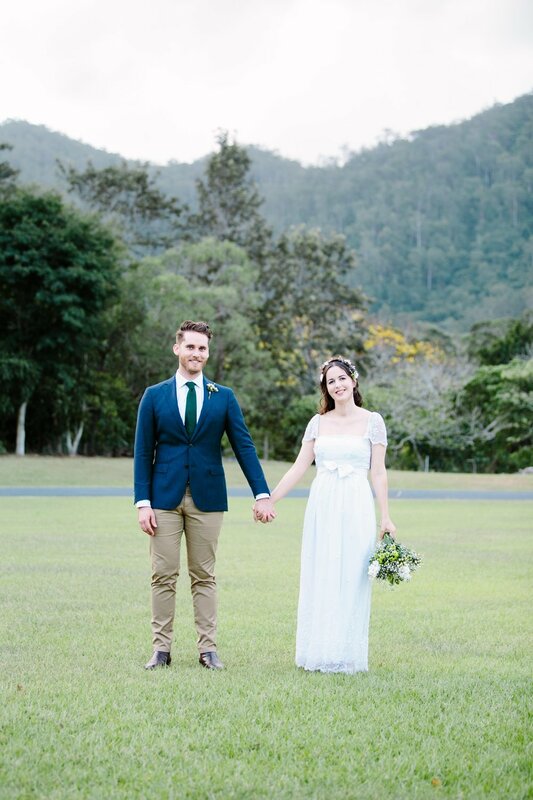 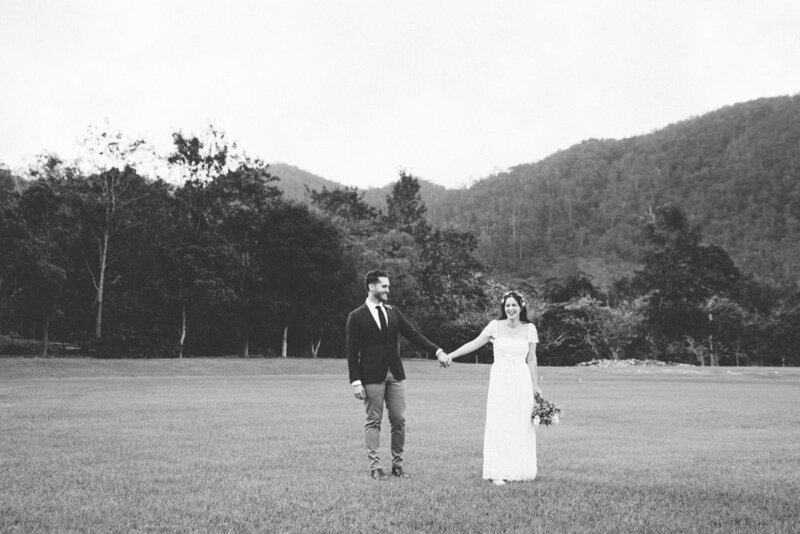 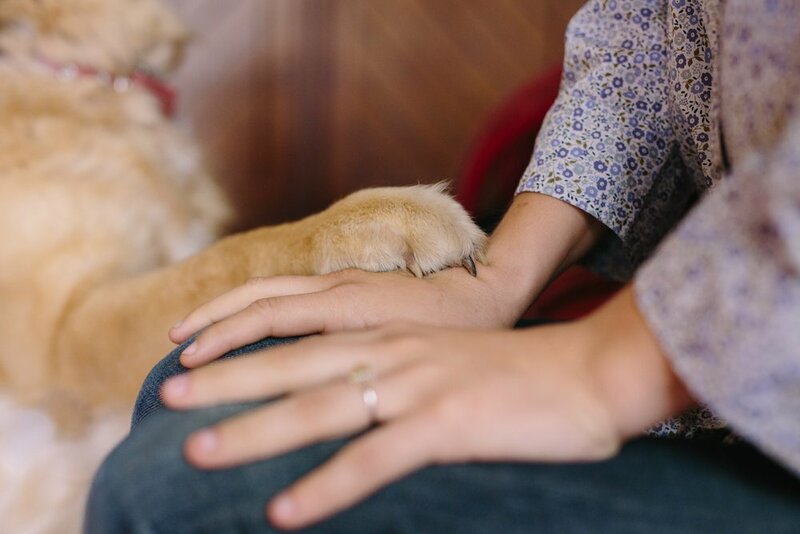 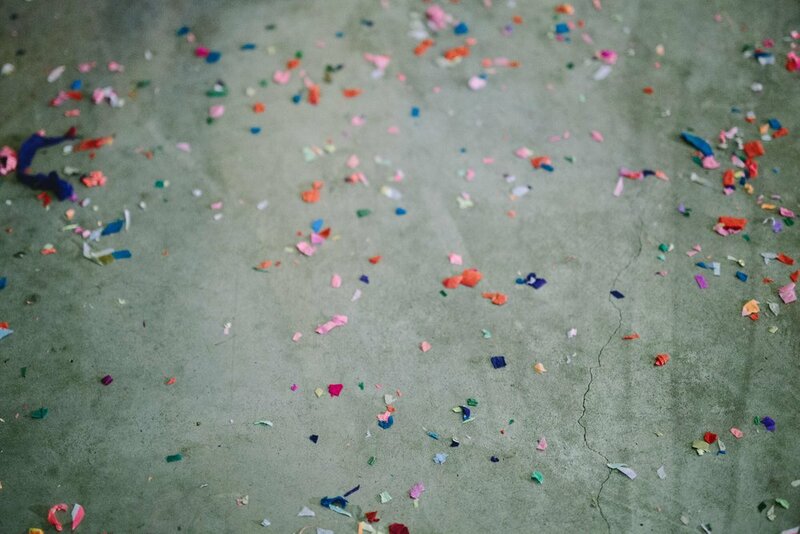 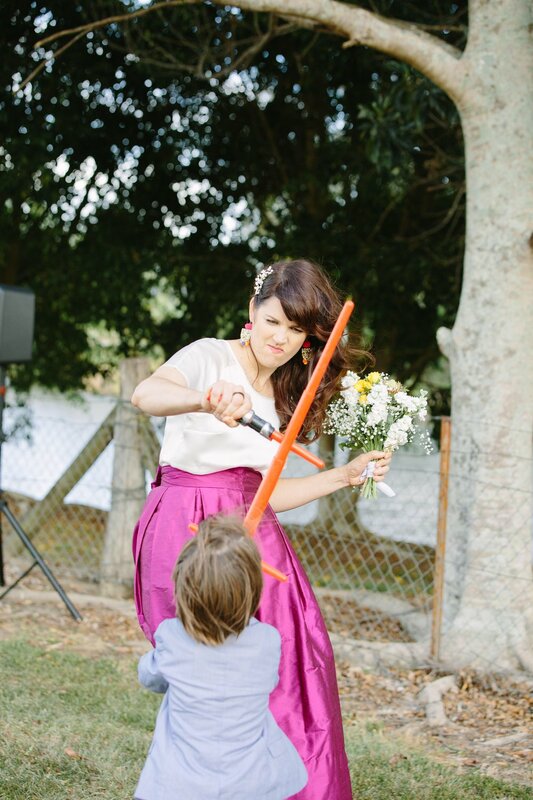 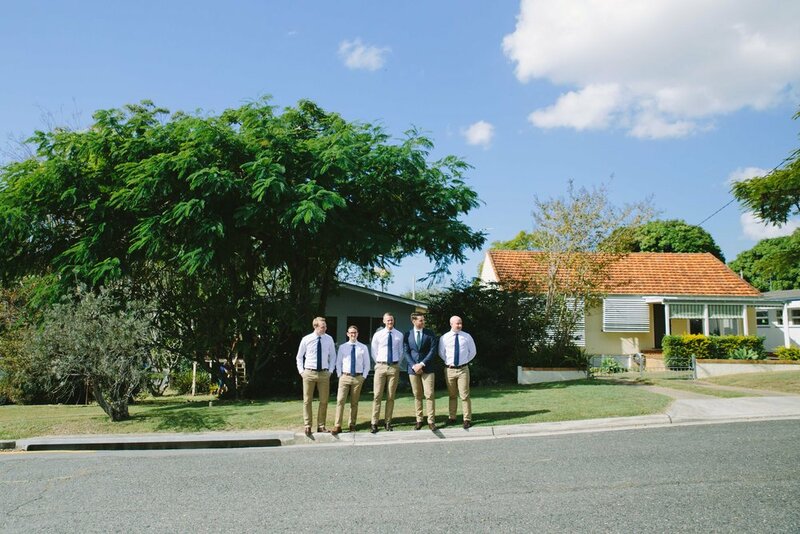 I am still all kinds of warm and fuzzy from Georgia + Myles' Samford Showgrounds wedding. 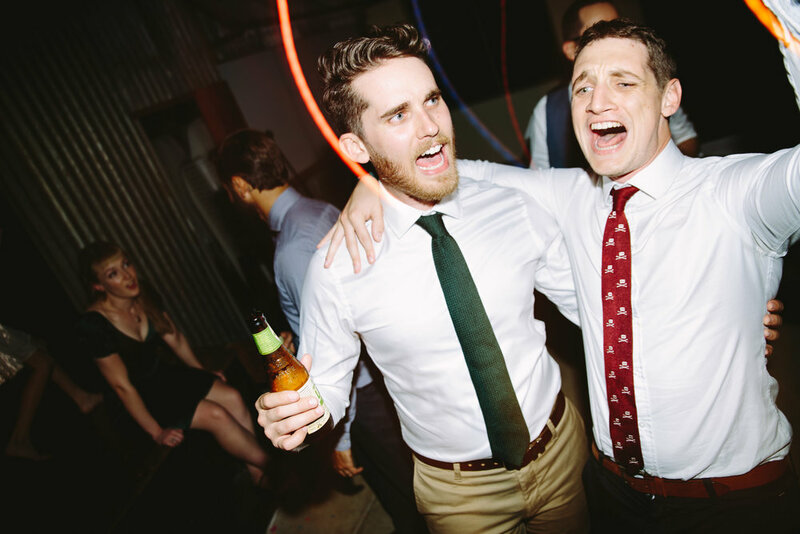 These guys are the most amazing, fun-loving pair and are surrounded by some legendary (seriously legendary) family and friends. 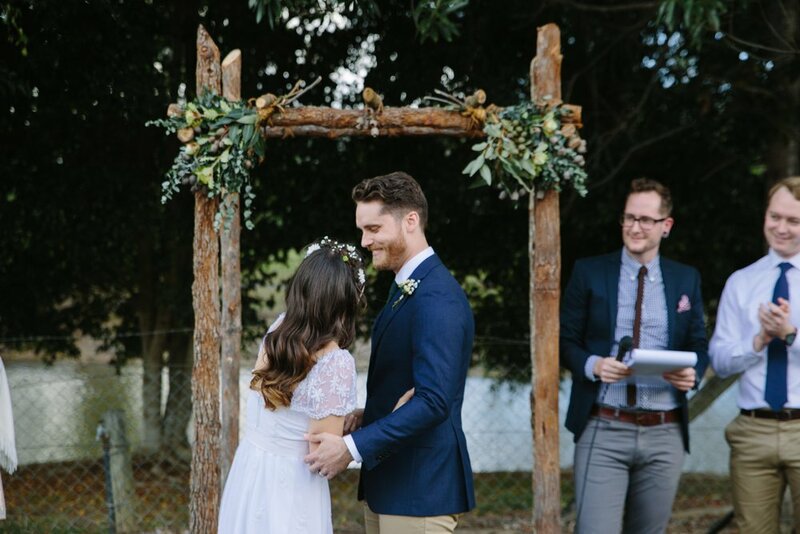 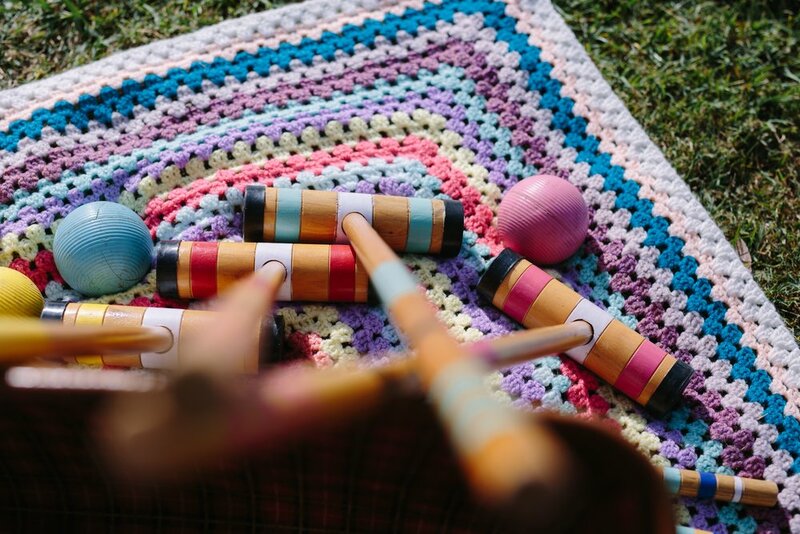 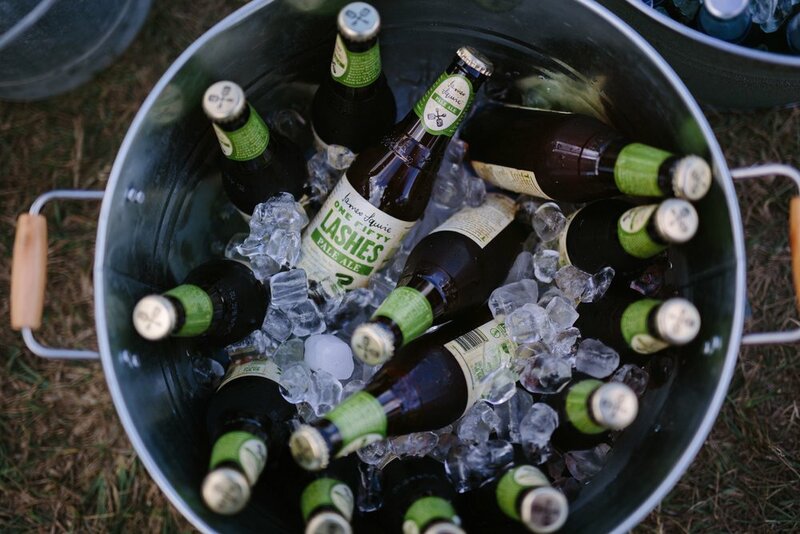 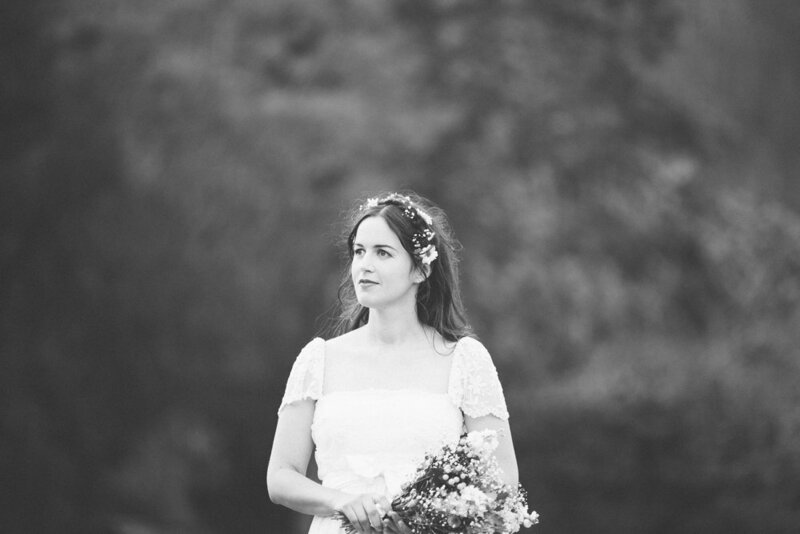 I feel chuffed just to have shared a day in the mix and experience a truly DIY affair. 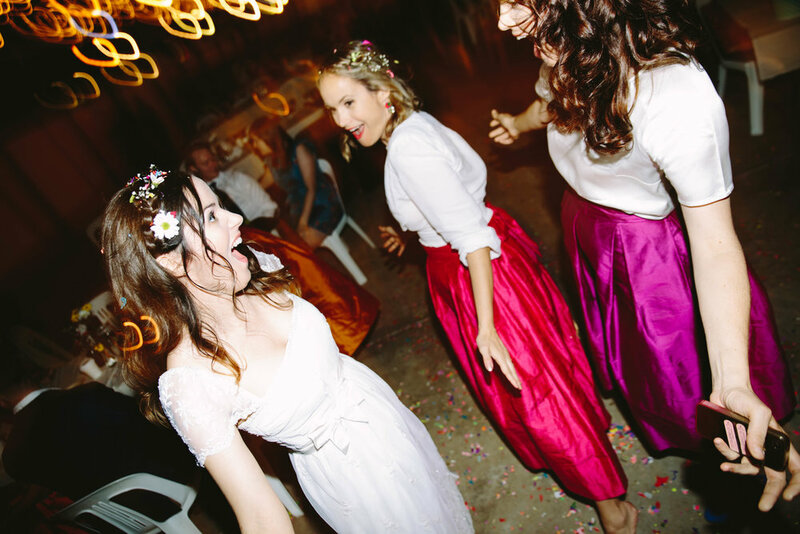 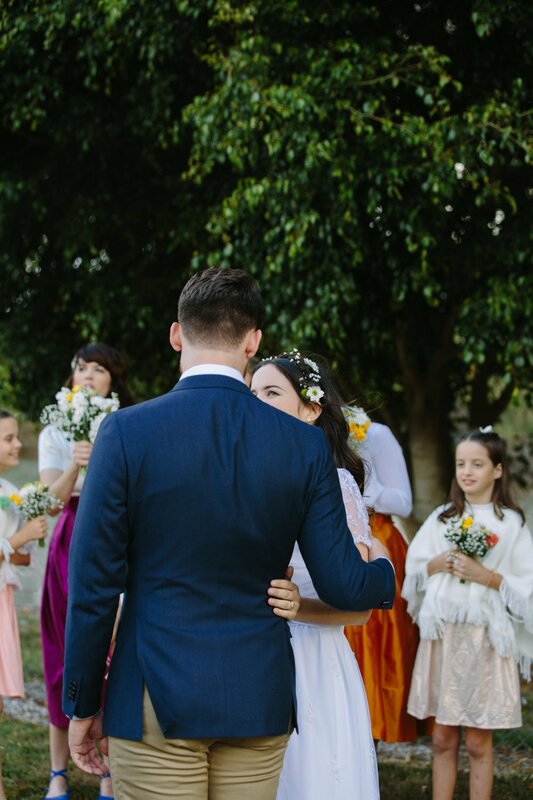 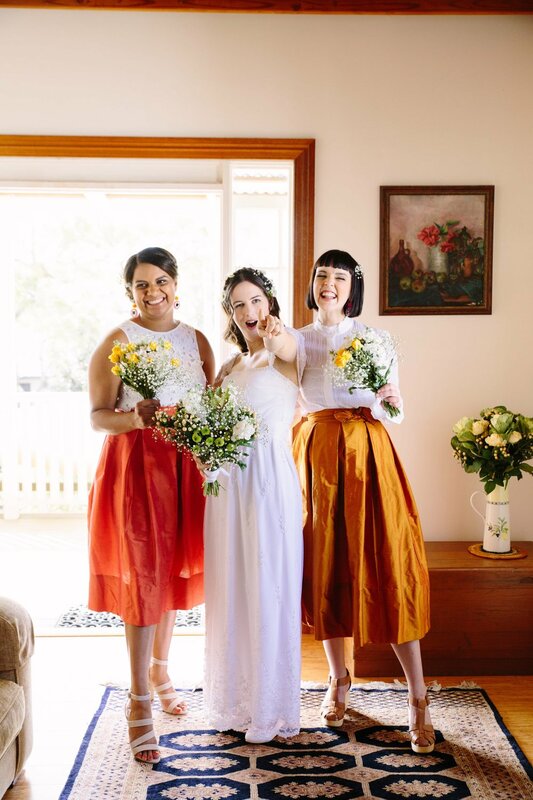 Georgia’s mum managed to casually whip up her dress, the bridesmaids amazing skirts (seriously, that silk!! 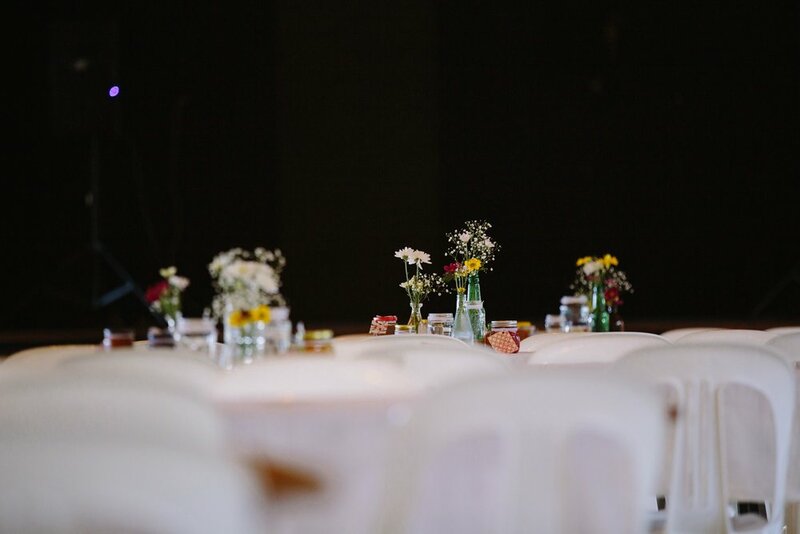 ), their flowers, the cake(s) and still had time to make sure we all had a killer cheese platter while getting ready…I think every wedding could use a carbon copy of her! 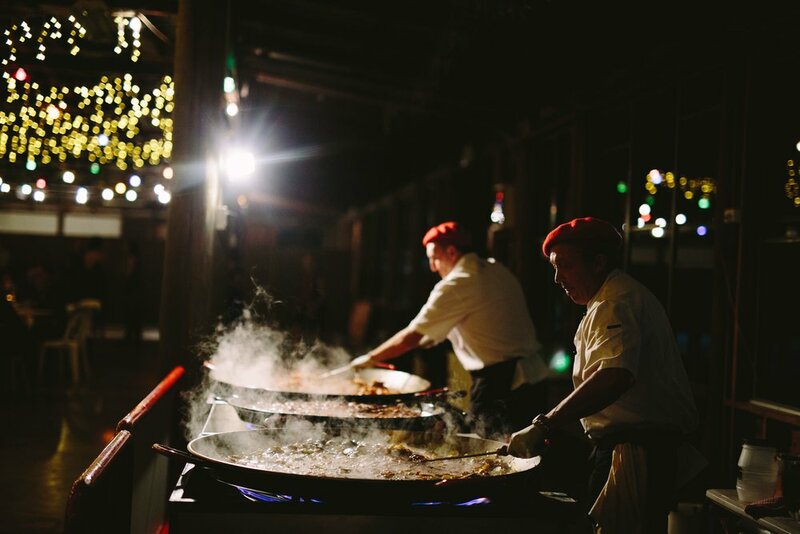 From a caravan serving up champagne and lawn games (Curious Caravan) to unlimited Paella supply (dreams really do come true, thank you Señor Paella!!! 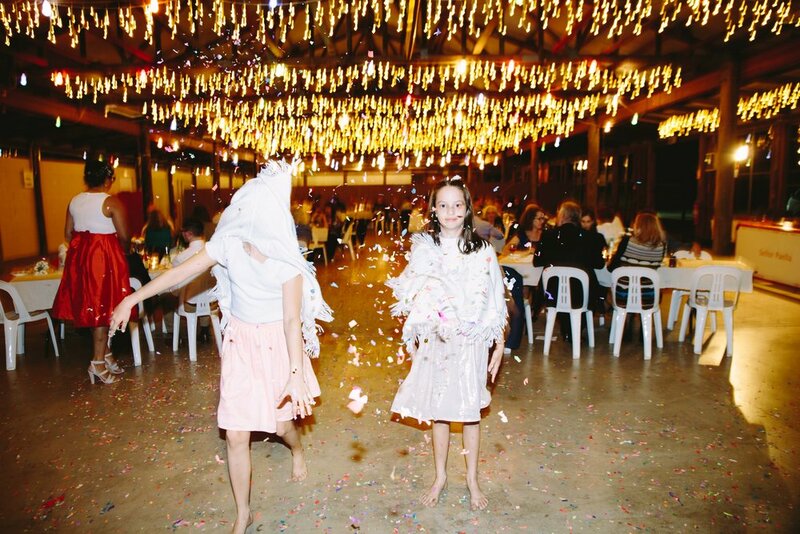 ), I cannot imagine a funner way to tie the knot. 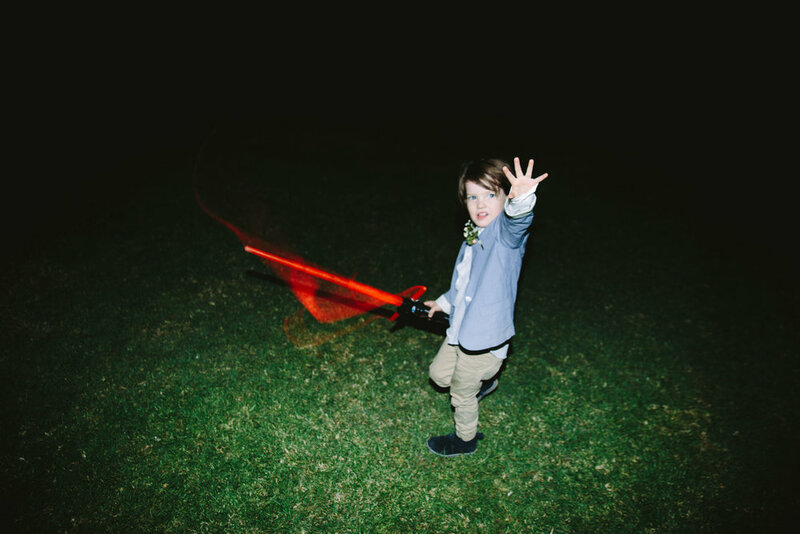 P.s I have about 500 more photos of Edgar and his lightsaber (you won’t be able to miss him in this blog) if anyone wants a blog devoted solely to him.